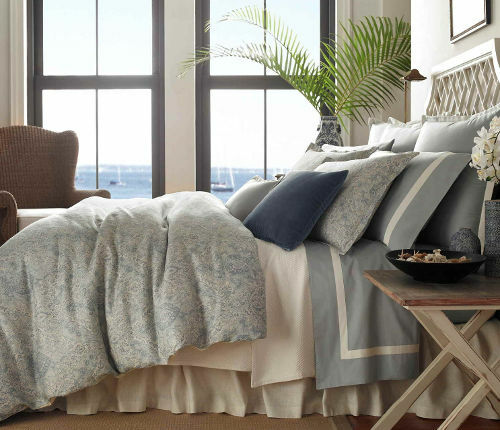 Vittoria from Traditions Linens is made from 100% Linen with a light and lovely pattern. 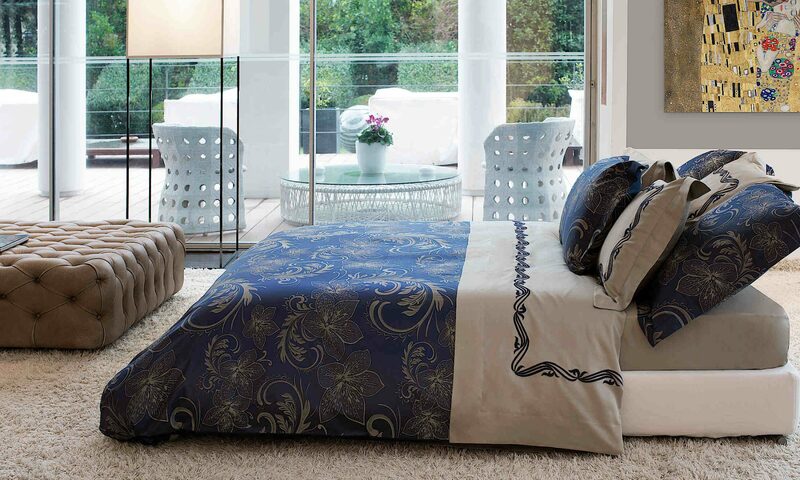 Coordinating elements in the same subtle tones of Blue and Ivory offer relaxed comfort and sophisticated living. No fuss here. 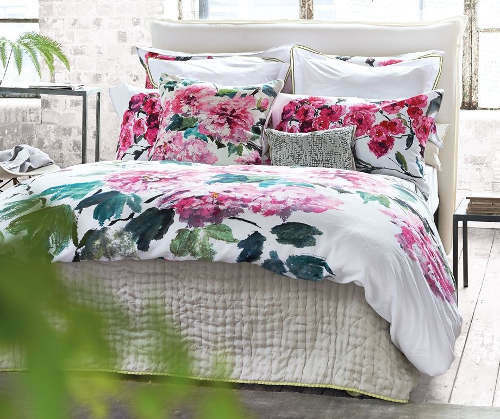 Bring out your inner artist with this sophisticated floral bedding from Designers Guild. The Shanghai Garden Peony duvet and sham collection captures the beauty of blooming peonies. Digitally printed on a sensational linen cotton blend. Coordinating colors in the sheets and silk quilt complete the designer look. The beauty of Italian fresco art was the inspiration for the SDH Messina (shown in the duvet) and Lancora (shown in the shams) bedding collections. These two 100% linen jacquard collections complement each other and are offered in the same color choices so you can mix and match to your liking. We recommend the linen/cotton Eton cover and shams to add dimension and elegance. I like that the subdued tones are calming and peaceful – perfect for a good night’s sleep. Funny how some bedding presentations are so inviting that they make you want to jump right in! 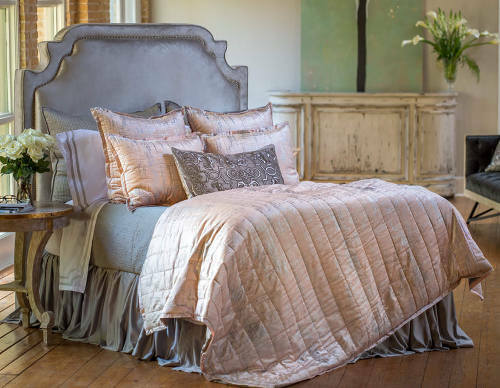 The touch of Blush Moderne coordinated pieces in this Lili Alessandra bedding ensemble adds glamour to the Pewter/Silver palate. The personal quilted coverlet is made large enough to work at the foot of a king or queen bed and it’s made of washable velvet. How easy is that?